After 14 years, 5 round trips along the ICW between S Florida and RI, and approximately 16,000 miles we have reluctantly decided that it’s time for The Rose to be handled by folks, (me mostly) with more physical ability. She has been a central part of our life since that 1st day in Anchorage Marina, Baltimore, MD that has resulted in memories and friends that are close to our heart. The Rose is now listed with Curtis Stokes & Associates where Joe & Kathy Pica will handle her from this point forward. 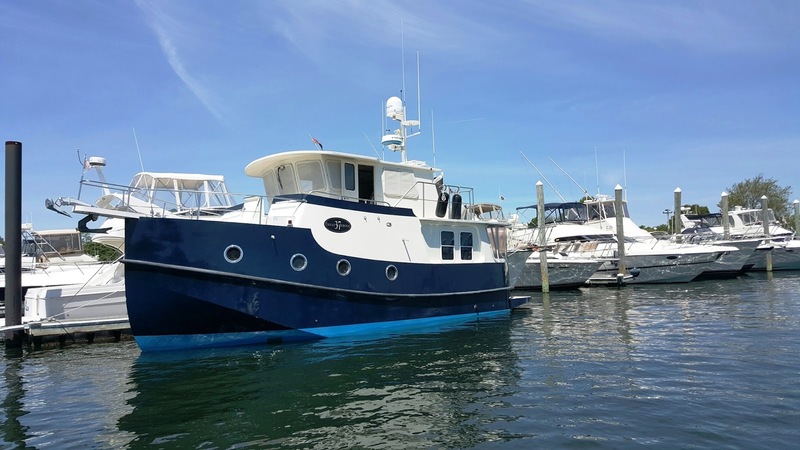 Here is the link to the listing at Yacht World. It’s been awhile since this blog was updated. Our routine has been just that, routine. She has wintered at Harbor Lights Marina and served us well as our waterfront home, summers at Brewer Greenwich Bay North all in Warwick, RI. She is in excellent shape, and Hap Miller our trusty mechanic has helped us to make sure that all systems are like new. We are tentatively planning to cruise south to Florida this fall with a final destination of Melbourne, FL. Our insurance broker was able to negotiate an amendment to our existing policy that allows us to cruise to Florida, providing that we stay north of the GA-FL line prior to November 1st. He earned his commission and then some. A familiar refrain is; boaters’ plans are written in Jell-O, and the water isn’t even boiling yet. After 11 years we know this is very true, but we have an eye on the horizon anyway. Stay tuned, this promises to be an epic trip since we are planning a cruise on the St. Johns’ River in Florida. That’s been on our list from day one so we’re hoping it finally happens. The picture is The Rose at her slip after launch this spring. Wax and bottom by Jim Gelcoat and Todd.